Zulma Top Check Pattern. 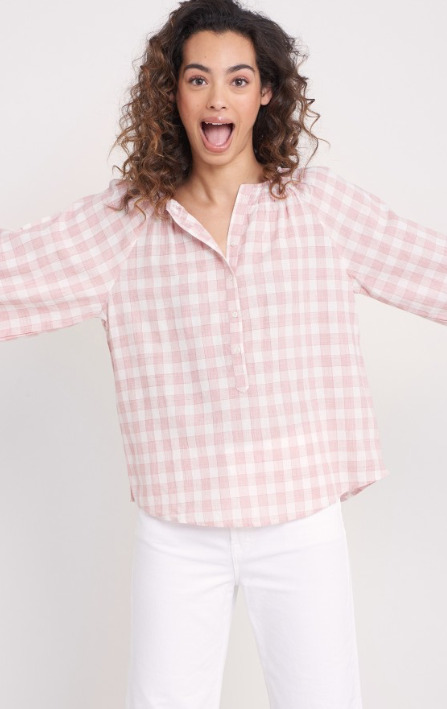 Searching for a top that resembles a button-down but has flair to spare? 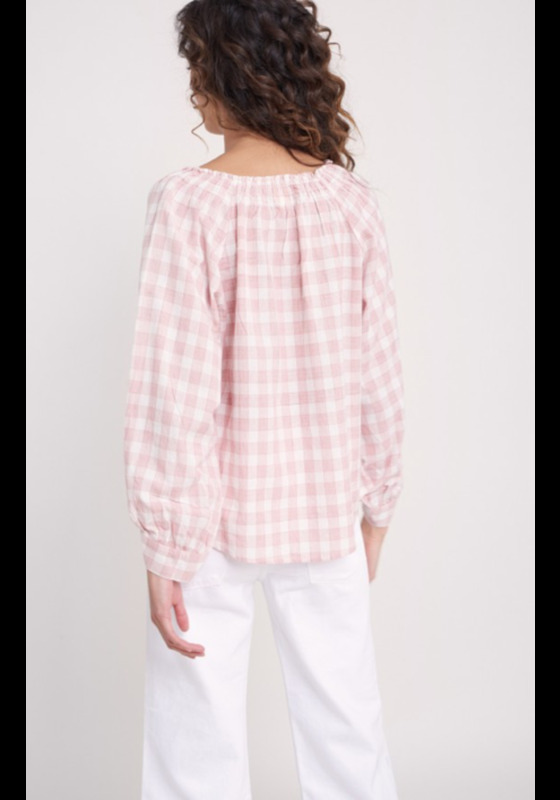 The Zulma top in a fun red check pattern is your match made in heaven.